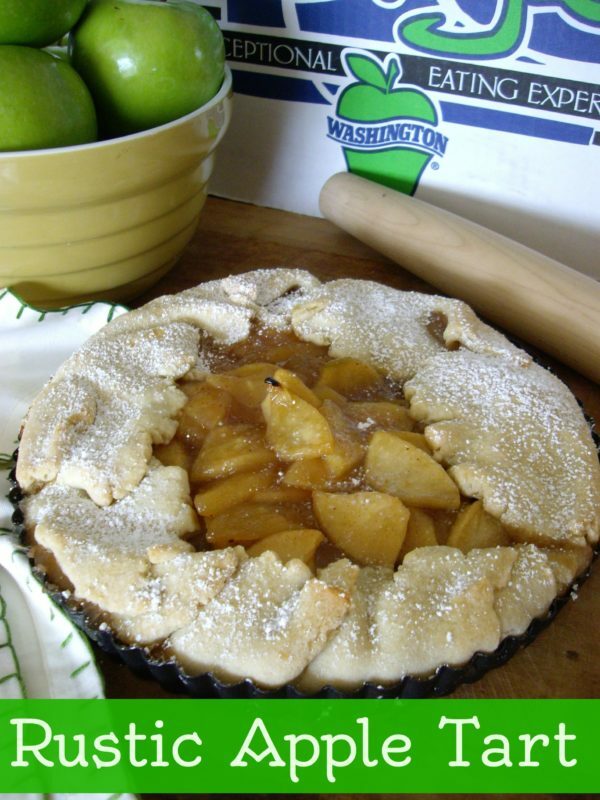 This Rustic Apple Tart is a cross between shortbread and pie. 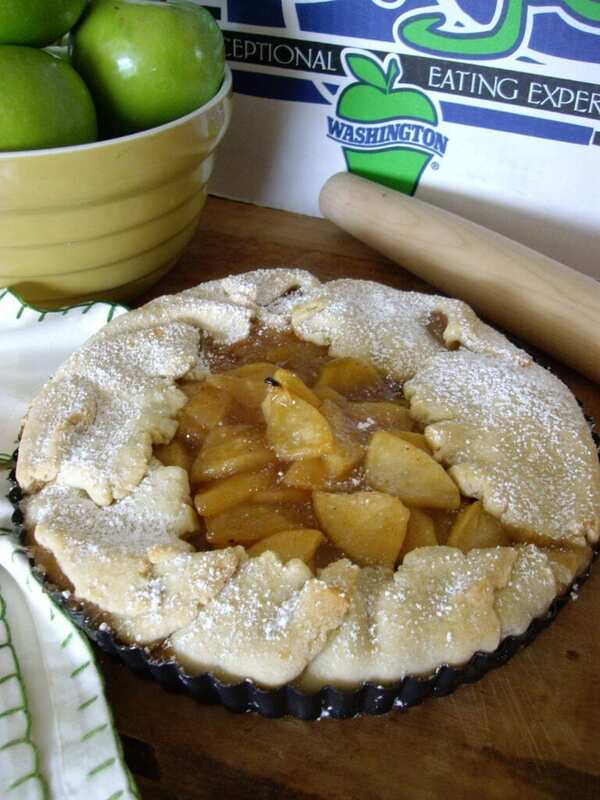 Our brand partner Sage Fruit provided this recipe for Rustic Apple Tart. Sage Fruit is located within Washington State and Oregon and has become one of the top growers/shippers of apples, pears, and cherries. They truly fulfill their mission and values of Integrity, Teamwork, Innovation, Passion, Respect, & Pride. Apples are a high demanded fruit shipped around the world. The Gala Apple is just one of the 7,500 varieties shipped to fill people’s fruit bowl. Gala Apples are produced by crossing a Golden Delicious & a Kidd’s Orange Red Apple. They are one of the most extensively grown apples. While a Gala Apple may appear small, the fruit is BURSTING with flavor. They are great for desserts, salads, or as a snack — perfect for busy moms and their kids! When selecting Gala Apples, choose ones that are firm and free of bruises. The stem of each apple should be attached and the fruit should have a pleasant aroma. Galas can be stored in a plastic bag in the refrigerator up to 3 weeks. This dessert is a cross between shortbread and pie. YUM! Sift flour & powered sugar in a bowl. Cut in butter to make a crumbly mixture. Add yolk & 1 tsp water & mix. Form dough into ball & flatten slightly, then wrap in plastic & refrigerate for 15 minutes. Remove & roll into a 14 inch circle and set into greased 8 inch pan, leaving the edges hanging. In a saucepan over medium high heat, combine apples, juice, cinnamon, & nutmeg. Bring to a boil, then simmer until apples are tender. Remove apples & return mixture to boil. Dissolve cornstarch in cold water & add to apple juice mixture. Stir until glossy. Toss with cooked apples & let cool. Fill crust with filling & fold in hanging pastry. Bake for 40 minutes at 375 until golden. How do you like to enjoy Gala Apples? Let us know in the comments below.